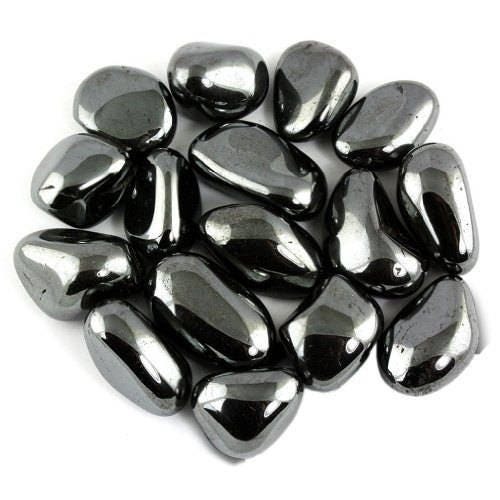 These high quality hematite stones are tumbled and smooth. Their shape are organic, rounded both in elongated and in chunky "boulder" shapes. Hematite helps absorb negative energy and calms you in times of stress. 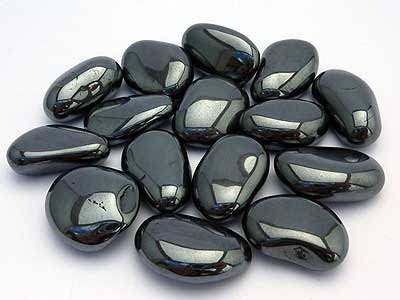 Hematite is a very protective stone and is great to carry to help you stay grounded in many situations. Hematite is also good for working with the Root Chakra, helping to transform negative energies into a more positive vibration. Those in relationships can benefit from the cooperation vibe coming from Hematite. Listing is for 1 Stone. SIZE Approximately 1" to 1.25" inches in size. Beautiful stones arrived charged and awesome quality.